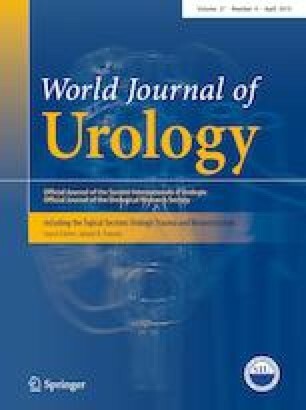 Age is an important prognostic factor for functional and oncological outcomes after radical prostatectomy (RP). Considering the long life-expectancy of young patients (≤ 45 years), it remains important to examine their outcomes. Of 16.049 patients who underwent RP between 01/2006 and 12/2014 at the Martini-Klinik Prostate Cancer Center, 119 (0.7%) were ≤ 45. Known prognosticators were compared according to patient age at RP (categorical as ≤ 45, > 45 and ≤ 65, > 65 years). Kaplan–Meier plots and Cox-regressions analyzed oncological outcomes [biochemical recurrence (BCR)-free survival and metastasis-free survival (MFS)]. Logistic regressions were used for functional outcome. Urinary continence (UC) was defined as the use of 0 or 1 safety pad/day and potency as an IIEF-5 score of ≥ 18. Compared to their older counterparts, patients ≤ 45 years had more favorable tumor characteristics. Of all patients aged ≤ 45 years, 89% underwent bilateral and 9.3% unilateral nerve-sparing procedure. Five year BCR-free survival and MFS were 80.2% and 98.7% for patients ≤ 45 years, 72.8% and 95.0% for patients > 45 and ≤ 65 years and 70.5% and 94.9% for patients > 65 years. For the same groups, 1-year UC-rates were 97.4%, 89.4%, and 84.7% while 1.3%, 8.2%, and 11.6% used 1–2 pads/24 h. At 1-year, 75.6%, 58.6%, and 45.3% of preoperatively potent patients who underwent bilateral nerve-sparing were considered potent. Younger age was an independent predictor of favorable functional outcome also in multivariable analysis. Patients aged ≤ 45 years had more favorable tumor characteristics and oncological outcomes. Moreover, younger patients should be counseled about the excellent postoperative continence and potency rates. Derya Tilki and Valentin Maurer have contributed equally to this work. DT: Protocol/project development, Data collection, Manuscript writing. VM: Manuscript writing, Data analysis. RSP: Manuscript editing. FC, AH, MG, HH: Manuscript editing. PM: Protocol/project development, Data management, Data analysis, Manuscript writing. The retrospective study was approved by our institutional review-board.